As soon as you hear the words double wear, you immediately think of the heavy, full-coverage foundation from Estee Lauder. The one that gets the notoriously bad rep as being cakey and almost paint-like, but which actually gives a beautiful finish that's long-lasting and can look natural-ish, if you blend, blend, blend. 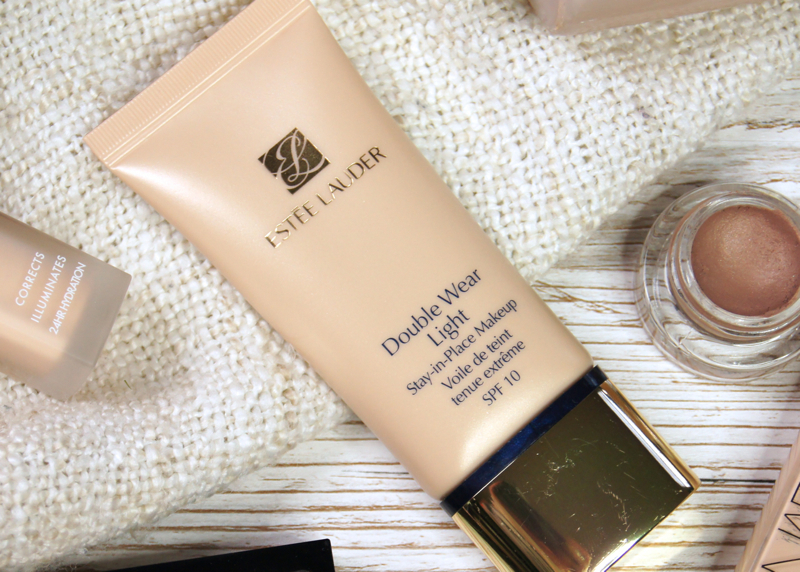 Whilst the original base may hog the limelight, there is another star of the show within the same line of foundations - Estee Lauder Double Wear Light. I've been reaching for this underrated product non-stop recently, so I thought I'd share my thoughts on it. As the name suggests, this base is a much lighter version of the standard Double Wear Stay-In-Place formula, both in terms of coverage and consistency. What makes it special, is that it boasts that same, impressive longevity that makes the Estee Lauder's famous range so popular. As soon as you squeeze a drop out of the tube, you can tell it's a lot less thick and heavy. When smoothed onto the skin, it feels weightless and lets skin breathe, making it such a comfortable option for everyday wear. Creating the look and feel of an oil-free tinted moisturiser, but providing the longevity of a full-on foundation, it makes a great choice all year round. During S/S, it doesn't mask the complexion, but resists makeup meltdown and, in A/W, it sits well over drier skin without clinging to flakey areas and holds up against harsh winds and rain. Polar opposite to the original and maximum cover versions, the Double Wear Light formula offers a soft, sheer level of coverage. At first, it does appear to do very little to boost the complexion. But, after letting it settle for a minute, you soon notice how it gently evens out the skin-tone and mattifies shine. If the initial coverage isn't sufficient, you can easily build it up, whether you use a brush or fingers to apply. The finish isn't an unflatteringly flat matte, but more of a satin or demi-matte. As it has such a natural result, this isn't a base that will hide severe blemishes on its own, but it's ideal for gently evening out the complexion, before using a full-coverage concealer on specific areas that need it, to avoid skin looking heavy all over. It's also a perfect choice for those who have relatively clear skin already, but want to wear a little something to tone down redness and add a thin veil of coverage. What makes this base even better, is that it holds in place all day. Lauder actually claim this foundation continues to look perfect for 15 hours straight, but that may be pushing it slightly. I always worry that lighter formulas with low-medium coverage will fade and need touching-up after a few hours, but Double Wear Light doesn't melt or smudge one bit. Helping to control oil, the natural shine that usually blesses my T-zone by the end of the day when I wear radiance-boosting or lighter foundations, isn't something I need to worry about with this one. So much so, that I'm confident enough to even leave my makeup bag at home when wearing this, simply slotting a lipstick in to my purse. Estee Lauder are usually the ultimate brand when it comes to shade ranges, offering a vast line of colours that incorporate most, if not all, skin-tones. Double Wear Light, however, only comes in nine shades and they don't provide many choices for very fair or much darker skin-tones. Oddly, there's a few, random half shades on offer and the options seem to vary between online stores, but they may be more consistent at counters. More or less, the shades go from intensity 1 - 6, with my match being intensity 1. When swatching the shades before purchasing, I did notice that even the palest shades look quite dark and orange-y when squeezed out. Fortunately, once blended, the pigment sheers out and adapts to my skin-tone well. Unfortunately, though, even intensity 1 could lean too warm on alabaster complexions, which is a shame. Of course, Estee Lauder foundations don't come cheap and this one is £31 pounds for 30ml, which is standard across the Double Wear line. Pretty much what you'd expect from a high-end brand that's well known for their complexion products. I must say, though, that considering this base is so much more sheer than the original and maximum cover versions, I would've thought they'd make it slightly cheaper. 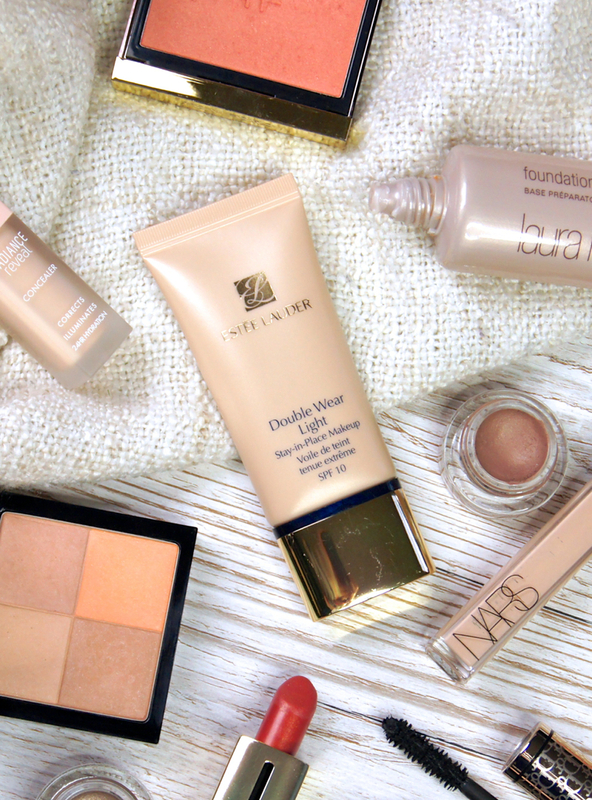 Have you tried Estee Lauder Double Wear Light Foundation?